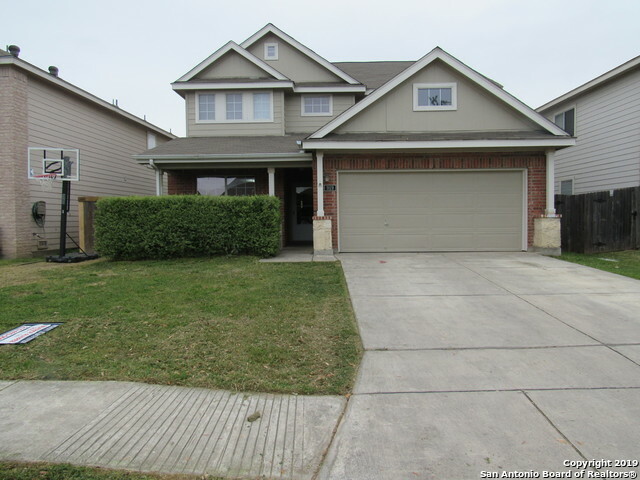 All THE ENCLAVE AT LAKESIDE homes currently listed for sale in San Antonio as of 04/24/2019 are shown below. You can change the search criteria at any time by pressing the 'Change Search' button below. "A stunning 4 bedroom 3 full bath home nestled in a cul-de-sac is move-in ready. This gorgeous home highlights a huge master bedroom w/double doors, extended vanity with sink and cabinet in secondary bath, six-panel Colonial interior doors, open kitchen w/island & birch recess panel cabinets, stainless steel appliances, and a bedroom w/full bath on the 1st floor. Conveniently located near Hwy 151 and Loop 410 and minutes away from Sea World, Lackland AFB, Ingram Park Mall, and many Restaurants." "4 Bedroom Corner Lot Near SeaWorld - Original Owner, beams pride of ownership with wood floors and Mature Fruit Trees/Flowering Shrubs in Backyard, covered patio and corner lot with Access from rear yard. Home will be inspected and covered by OneGuard Home Warranty to transfer to new owner. Open Kitchen with island / Family Room concept & Gameroom upstairs. Alarm system and cameras leased, not included. NISD schools and near Westover Shops, Main Event, SeaWorld. Come see this wonderful spacious "
"Look me over, my master-bedroom is downstairs with full bath and walk-in closet, the floor will be replace soon. You will like the marble flooring in the kitchen, dining and living room. I have granite countertops and am also getting a brand-new elect stove. I have plenty of space in the 2nd living area, the upstairs area has laminated flooring except the bath. Plenty of backyard for the summer. The fence belonging to the neighbor is to be replaced. I am being painted on the outside getting r"
"Don't miss out on this home! It features a large open kitchen and two large living areas downstairs, along with an additional game room upstairs. Plenty of space for the whole family and a decent size back yard. Its a corner property and is very conveniently located near schools, shopping centers, Seaworld and easy highway access. Best of all, seller will consider owner financing for tough credit buyer that need a second chance! Seller will provide $2500 Carpet Allowance for buyers!!"